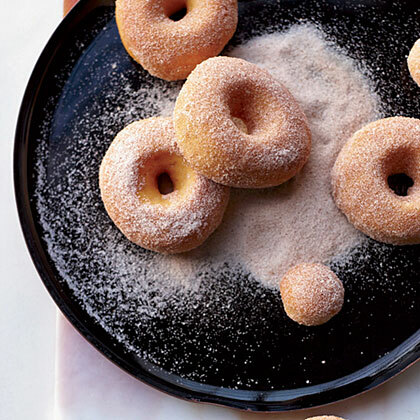 Get fresh, hot doughnuts anytime of day with our simple four-ingredient recipe. 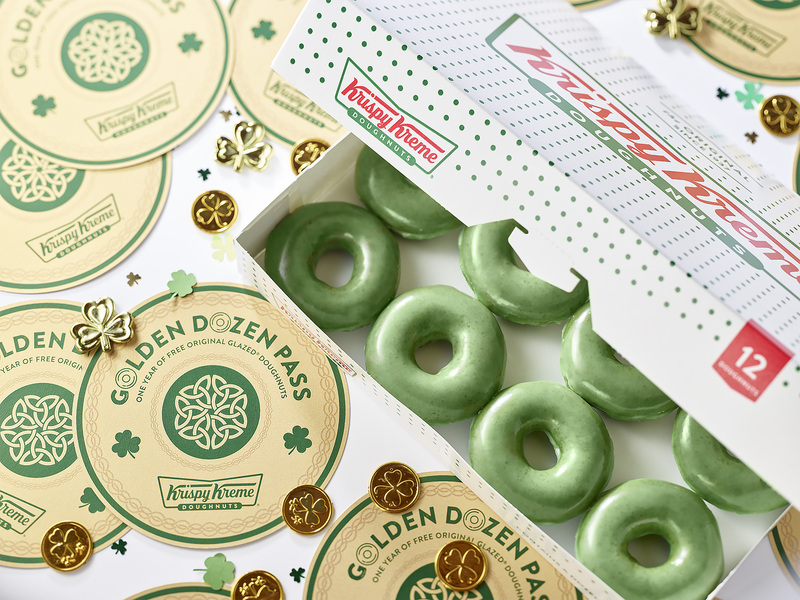 Plus, how to win free doughnuts for a year! 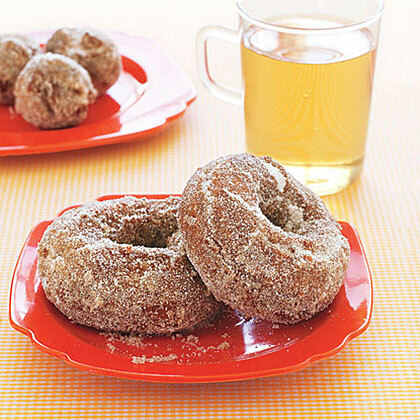 Concentrated apple cider flavors these doughnuts from the dough to the glaze. Inside they're cakey and delicate and outside a bit crisp, especially while still warm. 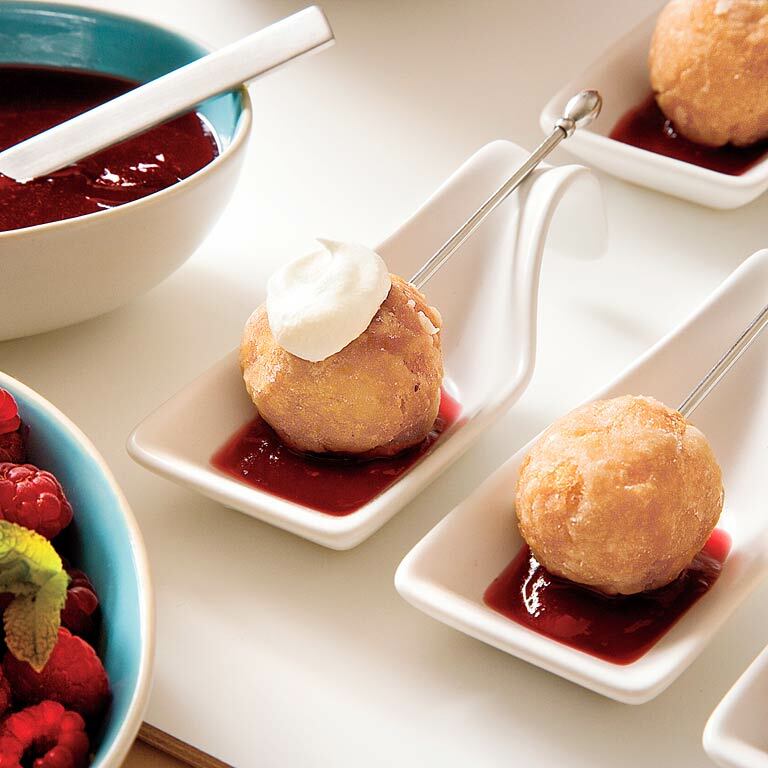 The recipe comes from Piper Davis, co-owner and cuisine director at Grand Central Bakery in Portland and Seattle. Davis's friend Julie Richardson, owner of the city's Baker & Spice bakery, shared her expertise and enthusiasm as a starting point for the recipe. You'll need a 2 3/4-in. doughnut cutter or 2 biscuit cutters (a 3 3/4-in. one for the doughnuts plus a 1/2-in. one for the holes). 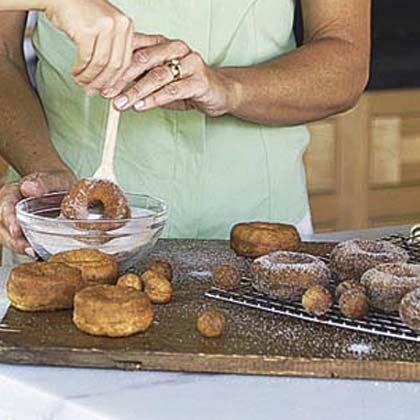 Add apple cider to the dough for these homemade doughnuts, then sprinkle the doughnuts with cinnamon and sugar for a flavor that will remind you of autumn. This recipes makes 3 cups of each flavor of frosting, if that ends up being more than you need to Neapolitan 1 dozen store-bought doughnuts, you can save the leftover icings for dipping other store-bought baked goods like brownies or crispy rice treats. 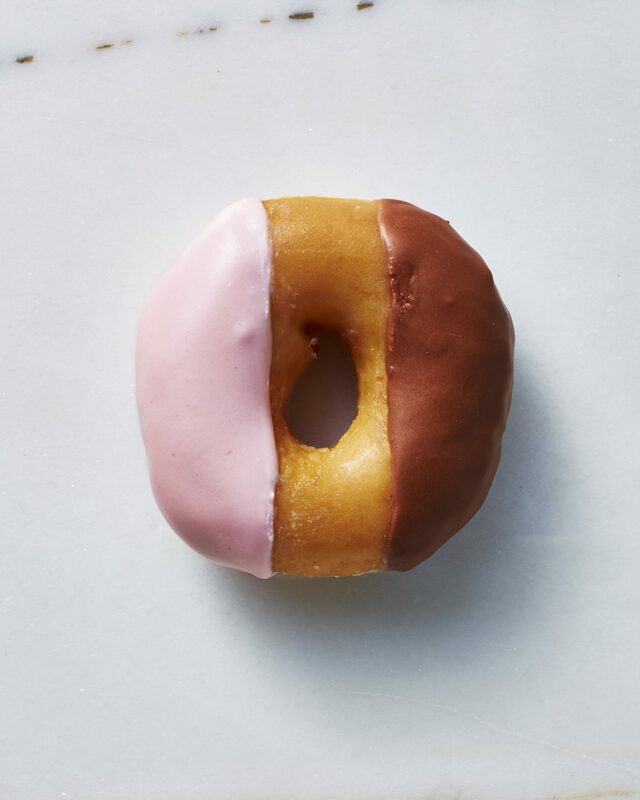 The idea is to make the Neapolitan Icing flavors, then dip to your heart's content. 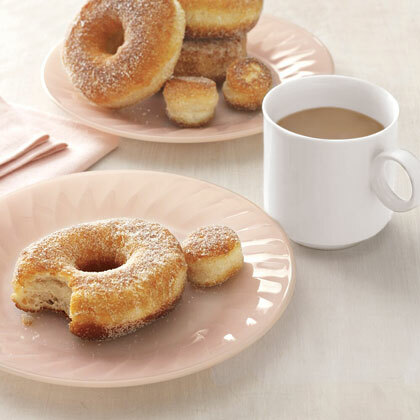 (If you really want to get fancy, make one of our homemade doughnut recipes, let them cool while you prepare the frostings, and then dip them.) These icings will start to stiffen as they sit. They will be good for 1/2 hour after you mix them up. If you want to make them in advance and use them later, place them in a bowl and lay a damp paper towel directly on the surface. And then cover the bowl with plastic wrap and leave at room temperature. If necessary, whisk in an additional 1-2 Tbsp. hot water to recapture proper consistency. 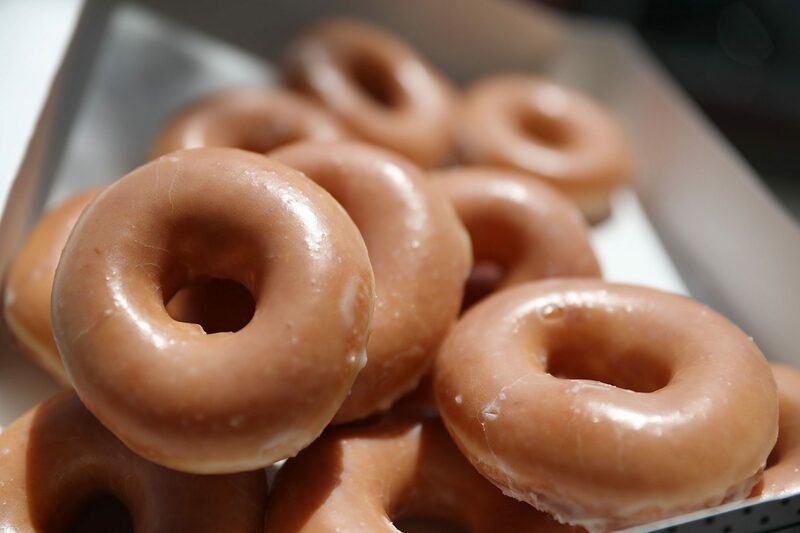 Whether you serve them for breakfast or dessert, we've got doughnuts to satisfy any sweet tooth. 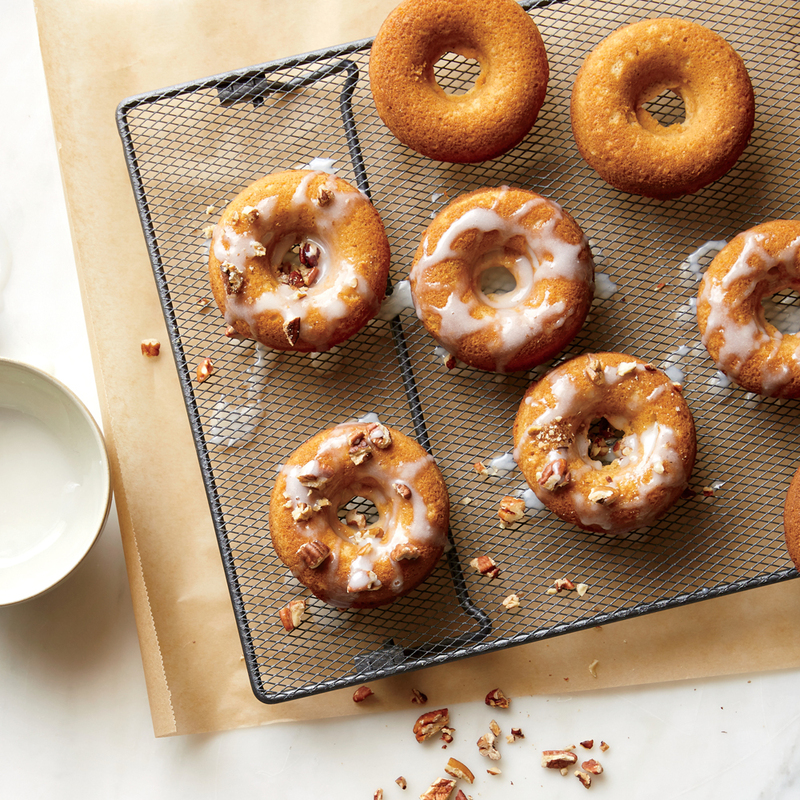 The doughnut pan is a must. 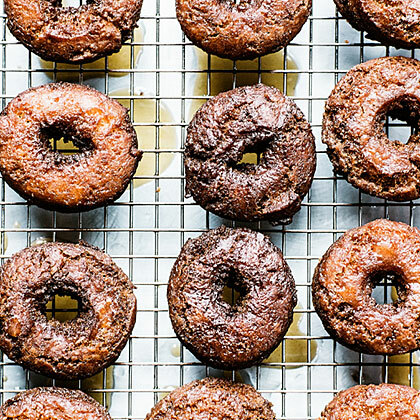 This $10 investment is worth a lifetime of healthier, oven-baked doughnuts. Find them at various kitchen stores or at amazon.com. Seattle has several things going for it, but today it has won my heart. 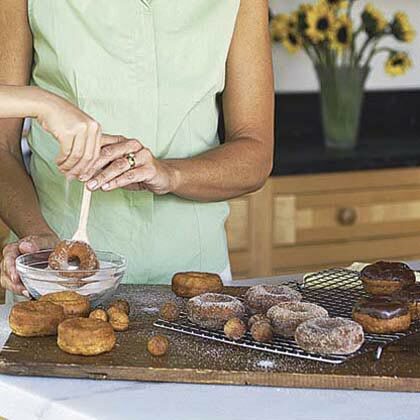 The folks at Top Pot Hand-Forged Doughnuts, a local shop opened in 2002, have been selling light-as-air, flavorful doughnuts for years; now, with their cookbook, Top Pot Hand-Forged Doughnuts; Secrets and Recipes for the Home Baker, they’re showing us how to bake, yes bake, with doughnuts. The best part? They shared a recipe from their book. It’s for this delicious dessert: Doughnut Bread Pudding. Doesn’t it look yummy?